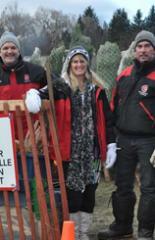 The coniferous trees we decorate during the festive season are members of an amazing family of plants. Some conifers, like the giant Douglas firs that grow in British Columbia, are among the largest trees in the world, while others, like the tiny shrubs that grow on many front lawns, are among the most attractive. We often refer to conifers as Christmas trees but in fact, besides the spruce, pine and fir trees which we decorate in December, there are over 600 different kinds of conifers. The name conifer means "cone bearer"; every conifer produces its seeds in cones. 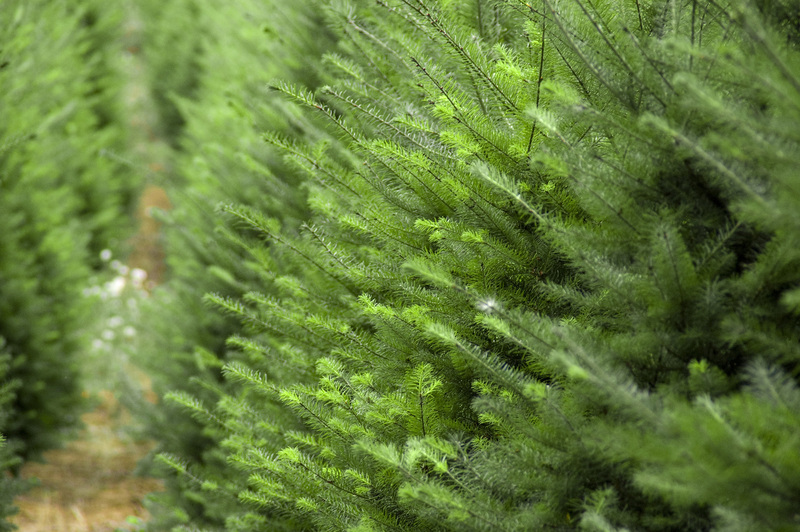 Another name for conifers is evergreen because most conifers hold their needles through-out the winter. Trees that shed their needles in the fall and remain dormant throughout the winter are called deciduous or broadleafed trees. The leaves of all trees and all plants serve a special purpose. Through a process called "photosynthesis", they transform minerals and water from the soil and carbon dioxide from the air to make a food called carbohydrates. The energy that drives this process comes from sunlight. In many ways the needles of deciduous trees are better food producers because, being broader, they can absorb more sunlight. The leaves on coniferous trees are much smaller and are called needles. They are amazingly adapted. The needles on conifers have fewer stomata than are found on deciduous needles. The needles are also coated with wax which prevents the loss of water and are soaked in resin which helps the needle withstand freezing. Even the shape of the needles is an asset in winter because it offers no resistance to the wind. As a result of all these adaptations, conifers can grow where broadleaf trees cannot, in the far north where the soils are shallow and poor and the moisture is locked in the ice most of the year; on the edges of deserts where the winds are strong and the soil is sandy and dry; and high in the mountains. Another advantage of coniferous trees is that because they can hold their needles all winter they can begin the process of photosynthesis early in the spring as soon as the sun gets warm and the ice melts. The characteristics of coniferous and deciduous trees determines where each will grow. Deciduous trees grow in the tropics and in temperate regions while conifers span the north polar cap of the world and are common in the north of Europe, Asia and Canada. Both deciduous and coniferous trees are common in the Great Lakes - St. Lawrence forest that spans Southern Ontario. Once every year coniferous trees become especially important to us all. However, many people decorate their trees without knowing what type of tree it is. The best way to identify any tree is to look closely at its leaves or needles. This is true of conifers as well. Even though at first glance all needles might seem to be the same, they are actually quite different. After looking at the needles, other clues can be found in the shape of the cones, if there are any, and the colour and texture of the bark. 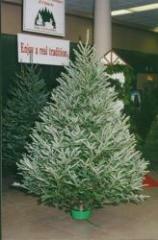 In Ontario the four most common Christmas tree species are Scots pine, White pine, Balsam fir and White spruce. With practice you can easily tell them apart. Study the descriptions and illustrations carefully and remember to look closely at your own tree.